So just what is wassel? So I have heard about wassel (sp?) off and on all my life and finaly made up my mind to ask what it is. I know, I know why not just google it and get the answer that way? I ask you where is the fun in that? So I would like to hear from our Brothers and Sisters here. A) what is it? i know its a drink but is it "adult" or family friendly? B) how is it made? C) where did you learn to make it and lastly D) What does it taste like to you? Hot mulled cider; never cared for it. I'm not familiar with it. Guess I have something to study tonight! From what I have heard (not sure mind you) It is a drink that dates back to the Vikings and their yule celibrations. This is what made me ask if it is family friendly or an adult beverage. Thanks DrT. Still not sure how it is made but at least I have an idea of what it might taste like. Acutaly sounds good I will have to give it a try. If the idea sounds good, I'm sure there are lots of recipes out there to work from! ...so it's not a small fury rodent that lives in the Highlands of Scotland then? Take a gallon of malty sweet ale and pour into a cooking pot. Slowly bring a simmer and stir in a cup of confectioners sugar (or more to taste). Into this, place one or more whole oranges that have had a dozen or more whole cloves stuck into them. Continue to simmer for 20 min or so. Do not boil. Serve into a punch bowl while still hot with the oranges floating in them. Ladle this into punch glasses and toast each other's health with a hearty cry of "Wassail". Heating the ale drives off some of the alcohol, but not all. So it's definitely an adult beverage. There again it's fairly sweet too, so it sort of discourages large scale consumption. IMO, of course. I made this back when I was a cheesehead before I got into brewing. And while I never wrote down the recipe that's as close as I can remember it. Nope and it is nay the wee fury rodent that lives under a kilt!!!!! 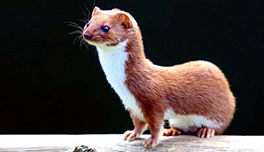 I reckon it just depends what part of the country your in, here it's a small critter that looks sorta like a mank or fairat. My mom made wassel every Christmas day for us to drink while we read the birth of Jesus from the bible and opened our Christmas presents. She did a family friendly version without any alcohol. Being older now, I can see some brandy being added to it would make it quite delicious! DrT is dead on, as always. Basically, picture hot apple cider with all of the traditional holiday spices and (to make it even remotely enjoyable) a bit of booze. 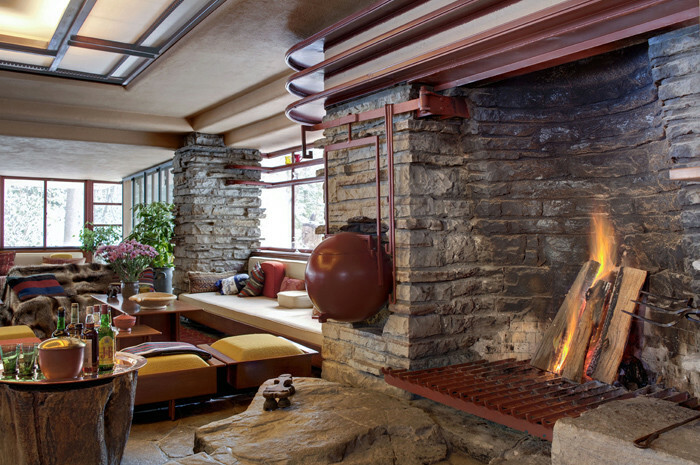 This is the fireplace inside Frank Lloyd Wright's Fallingwater. The reddish globe is allegedly for making mulled cider. It swings out and into the fireplace. Apparently some people go for this type of thing more than others. serve to carolers, going from house to house, to keep them warm (i.e., those who are 'wassaling). So if a politician comes to my house and I find their positions to be constantly changing with the breeze, i.e. waffling, I have to get out the waffle iron and make them waffles?